Living With Food Allergies! Recipes and More! 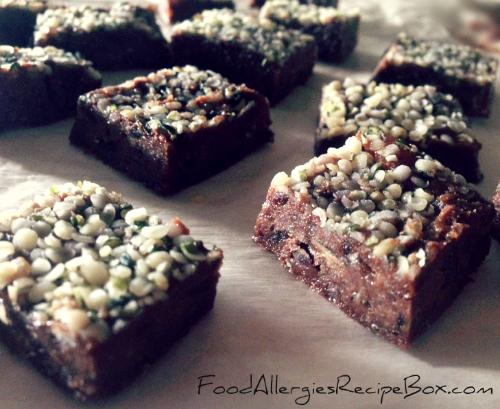 The Food Allergies Blog lets you know whenever any new or updated Web pages appear on Food Allergies Recipe Box. Don't miss our new content and recipes! To subscribe to Food Allergies Blog (no e-mail address necessary) RIGHT-click on the RSS button and then copy-and-paste the URL of the orange "RSS feed" into your blog reader. You can also stay up to date by liking us on Facebook or following us on Twitter! 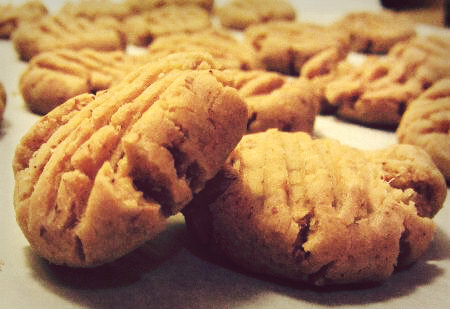 Let us help you avoid the 8 most common food allergies in your kitchen and thrive with your food allergies while enjoying delicious fun and easy recipes! Continue reading "gingerbread cookies recipe"
Pumpkin Smoothie Recipe just as good as enjoying a slice of pie for this delicious and easy to make pumpkin pie dessert recipe! 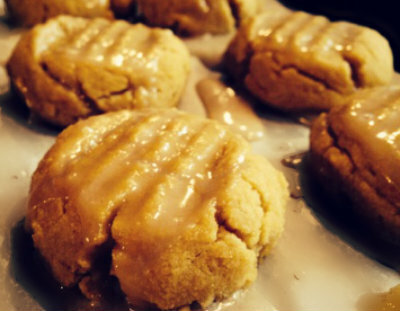 Continue reading "Pumpkin Smoothie Recipe"
Continue reading "Acorn Squash Cookie Recipes"
Continue reading "strawberry health bar"
Quinoa Sunbutter Cookies with Carob Powder and Chocolate Chips! 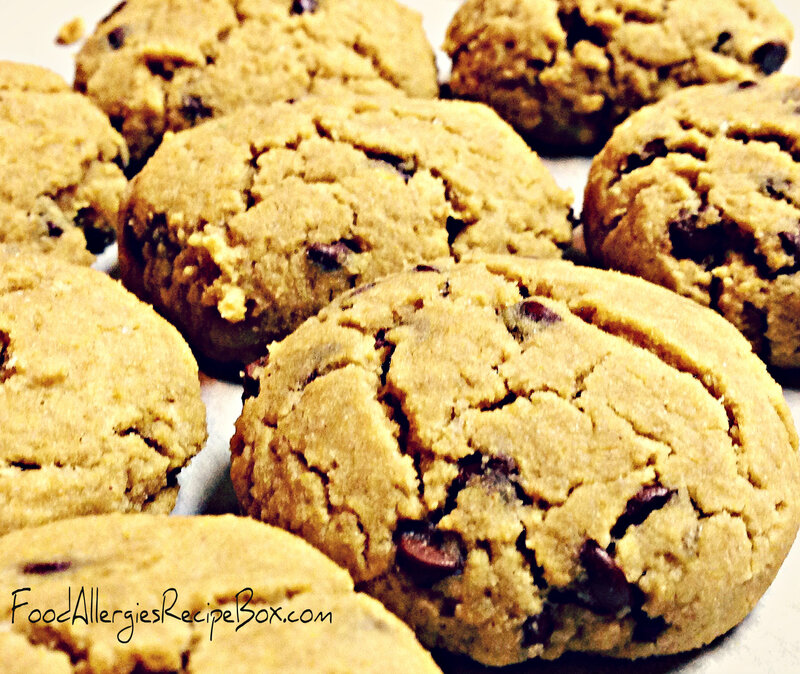 Continue reading "Quinoa Sunbutter Cookies"
Quinoa cookies made with garbanzo beans a gluten free food avoiding the most common food alleriges! 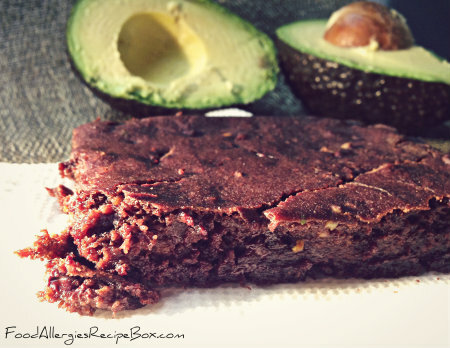 Continue reading "Quinoa Cookies with Garbanzo Beans"
A mint chocolate chip healthy brownie recipe oil free using avocados for this easy healthy dessert recipe! Continue reading "Healthy Brownie Recipe"
Healthy drink recipes perfect for anytime of the day, have as a healthy breakfast or dessert! Best of all these drinks avoid the common food allergens! 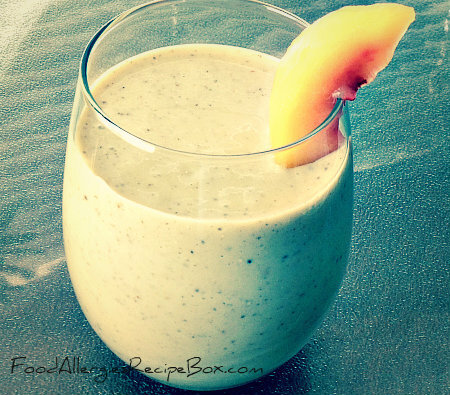 Continue reading "Healthy Drink Recipes"
Shamrock Shake! 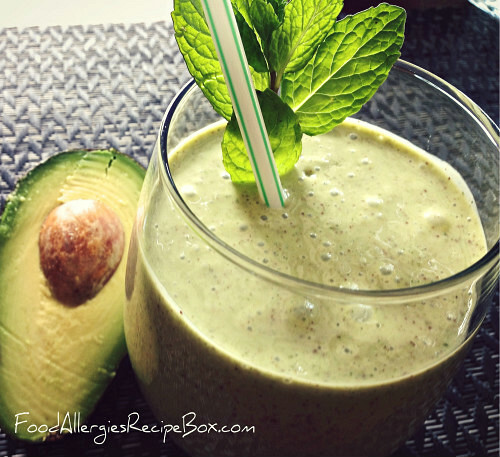 A healthy and delicious mint chocolate smoothie recipe! 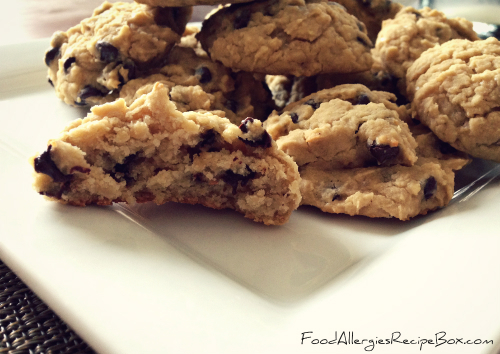 Thin mint cookie recipes that avoids the most common food allergies - find your delicious allergy cookie here! Continue reading "Thin Mint Cookie Recipe"
Continue reading "Marshmallow Brownie Recipes with Chocolate Chips"
A different take on sauce recipes for those with and without food allergies! 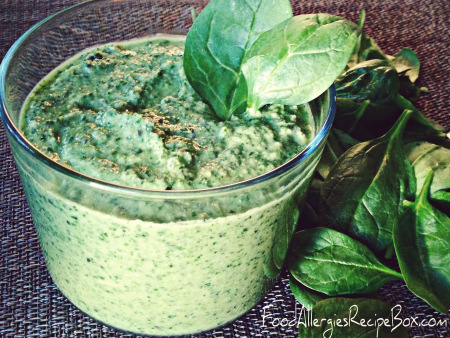 Pesto Recipe, This sauce recipe is nut free and delicious safe for those with nut or seed allergies! 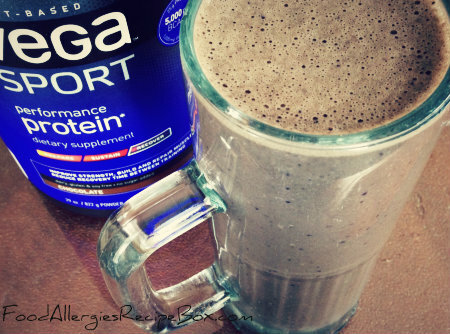 PB&J Chocolate Smoothie Recipe with Sunbutter, Blueberries and Vega One Protein! 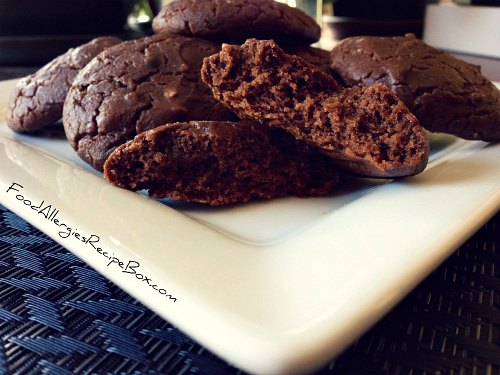 Continue reading "Chocolate Smoothie Recipe PB&J"
Avocado Cookie Recipes - a healthy alternative to using butter or oil making this an egg and dairy free cookie recipe and you'll never know there's avocado in these cookies! 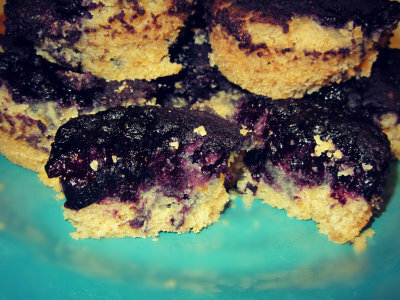 Continue reading "Avocado Cookie Recipes"
Delicious protein packed blueberry muffin recipe! 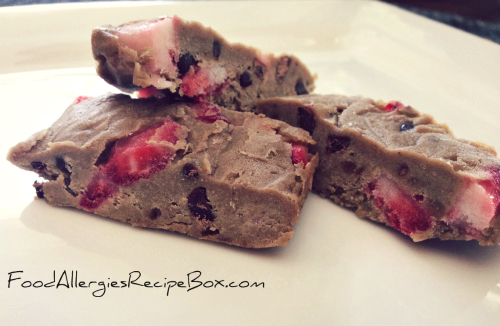 Best of all this recipe is egg, dairy, nut, wheat and gluten free! Continue reading "Blueberry Muffin Recipe"
Turkey Taco Recipes! Give This Easy Healthy Recipe a Try, Packed with Delicious Vegetables! 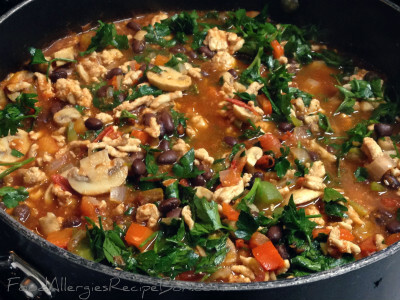 Continue reading "Turkey Taco Recipes! " Delicious and easy stuffed acorn squash recipes! Continue reading "Stuffed Acorn Squash Recipes"
Looking for a lemon chicken recipe? Try this easy marinade baked chicken, egg and wheat free.